IP20 light fixture for interior ceiling installation. consists of a circular plate in polished AISI 304 stainless steel, whose diameter is 200mm. it houses a max75W E27 halogen / led lamp for 250V power supply. 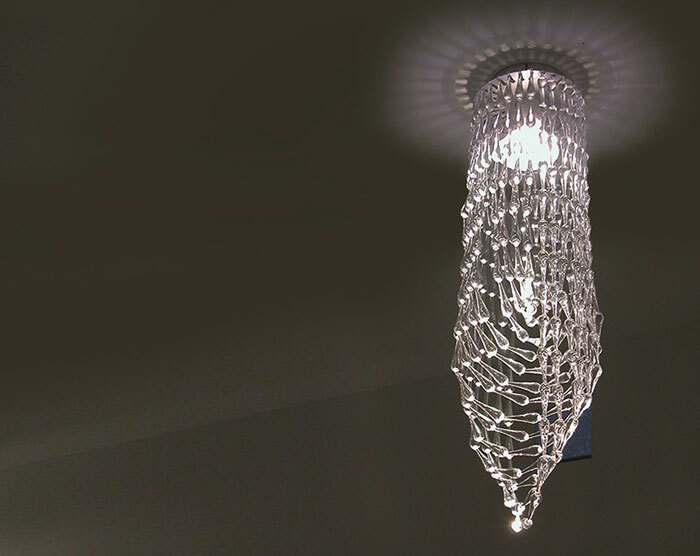 dimensions profile: the light is diffused from a modular system consisting of very clear methacrylate drops fitted together to form 15 chains of various lengths, crossed with each other to form a 600mm-long dome. 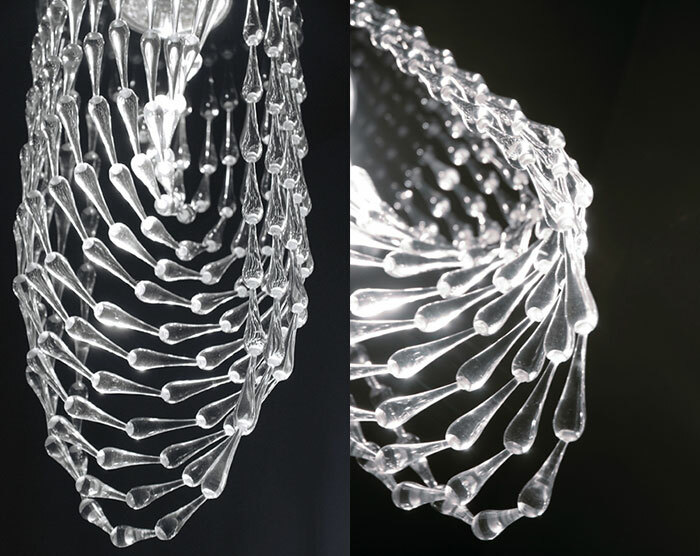 a 1000mm– or 7500mm– long chain of drops is avaliable as an accessory, with it different shapes from the previously defined one can be formed.